The first of our hopefully many collaborations with BookMaker Comics from Europe and artist extraordinairre Stephano Cardoselli who did this insanely AWESOME variant cover for us. The story of Love Me Like A Psycho Robot revolves around a robot named “Love” who was created by a group of greedy, corporate fat-cats. These quintessential evil-dudes are trying to root out some tree-hugging hippies from some land that they’re squatting on. All previous attempts have utterly failed and so “Love” is their last chance. So they literally want to kill the hippies with Love. It’s an all-out b***s-to-the-walls action-fest but somewhere under it all it’s got a touch of social commentary, not too much, just enough to not impede the fun! CLICK HERE TO ORDER VIA COMIC CON INDIA STORE! 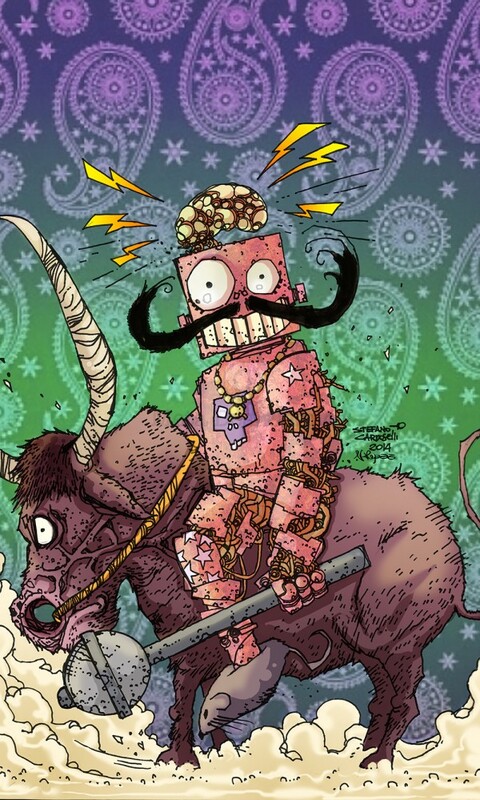 The eagerly anticipated follow up to the landmark Indian comics anthology! Released at the Mumbai Film and Comic Convention in December 2013, this new book takes everything Meta Desi and makes it bigger and better at a whopping 60 pages! We’ve also added a bunch of new members to the family this time around with Sudeep Menon scripting a tale drawn by Ahmed Sikander, India’s first ever “Curry-western” adventure. Then there’s Zafar Khurshid making his comic debut as he teams up with veterans Abhijeet Kini and Akshay Dhar for a hilarious romp of gargantuan proportions! Other new names include Khanseng Mein and Vivek Nag and of course the returning cast of creative crazies in the form of Anant Sagar, Sammi Lenker, Tarun Padmakumar and Sahil Rao now truly finding their groove and you’ve got yourself one hell of a comic ride to look forward to between these covers! Be prepared to have your mind blown away and then some. Can’t wait to get a copy? Then order yours today: CLICK HERE TO ORDER VIA COMIC CON INDIA STORE! 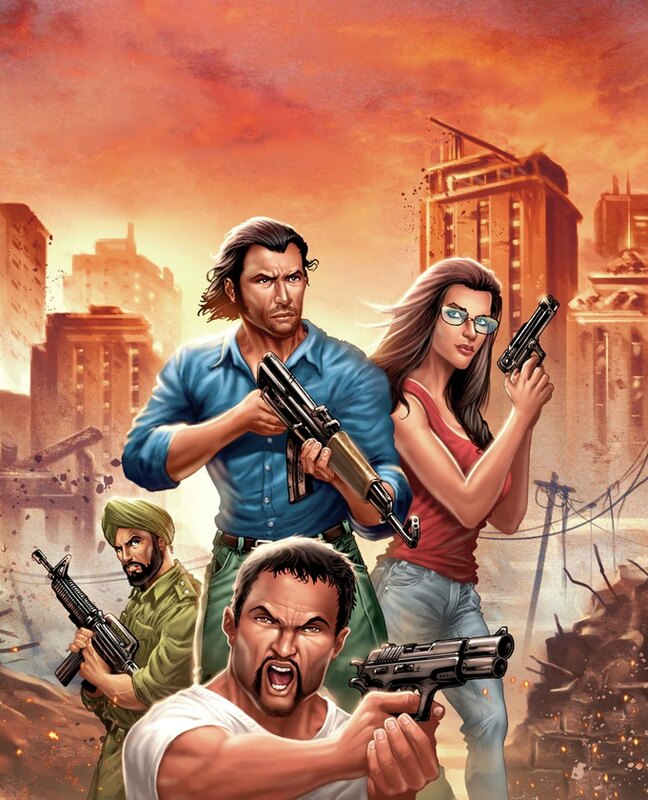 It is also the first comic written, drawn and published purely by Indian talent to be sold as an e-book on AMAZON USA. 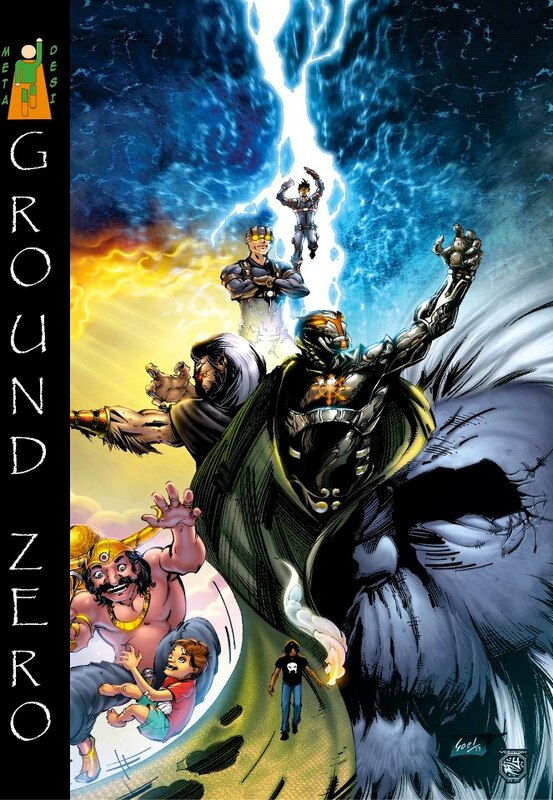 Conceived in 2011, this is the first volume of a 100% creator own anthology with no set theme or genre. It collects stories that include Slice-of-life, Fantasy, Dark Humour, Science Fiction, Drama and even a rare attempt at an Indian Manga story. Each tale is drawn by a different artist and with the upcoming Volume 2, there are new writers in the mix as well! Each volume contains a mix of one-off and episodic stories with hopes of establishing new and innovative characters and settings using the immense potential that Indian story-telling, history, culture and even mythology allows us to draw from and bring to new life! This first installment contains SEVEN unique new stories for the curious and adventurous comic reader. For a hard copy/print edition, CLICK HERE TO ORDER VIA COMIC CON INDIA STORE!or order via AMAZON here. If you want an e-book version to try out, click HERE. A whole new kind of post-apocalyptic saga starts here. Imagine the world coming to a grinding halt, hundreds and thousands dying and the face of human society being forced to change – all without a single shot fired. Imagine waking up to a world where only the most rudimentary tech still worked – What would humanity do? How would our world change? Does a world-changing disaster only affect us when it hits, or do the repercussions carry on, changing lives and people for ever after? See what people would do to keep themselves, and their humanity alive as we follow our small band of survivors as they face the new challenges that await them in this new world. To order, click HERE or HERE. 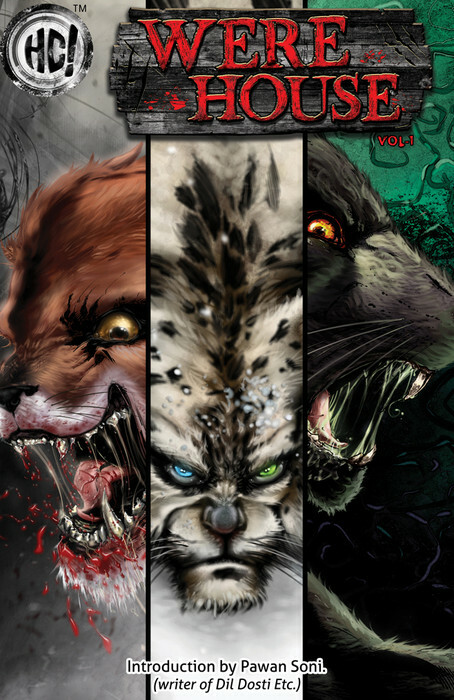 My first officially published work is the 1st of the 3 stories in this fantasy/action/horror anthology that attempts to try and present a new face to the shape-shifting-based genre – a new world of Therianthropy (humans transforming into animals) where there are no “werewolves” but new animals to build around. All this is done with a uniquely Indian flavour, with three stories – one in the ancient past, one in the present and one in the future – and each story is home to a new kind of man-imal, drawing from the various native species that call India home! Mine is a somewhat dramatic little tale of an orphaned boy who finds himself faced with a Snow Leopard unlike any he has seen before and the deadly new world that the encounter opens before him. Available for order at Flipkart as both a single and bundled copy along with other books from Holy Cow.